GARNER, N.C. -- CloudJumper, a leading Workspace as a Service (WaaS) platform innovator for agile business IT, today announced the Cloud Workspace® Management Suite Single Server Version for managed service provider (MSP) delivery to business customers. The new solution enables service provider partners to deploy software-defined virtual data centers that lower the server and software requirements for a broad range of customer environments. CloudJumper’s single server version of the company’s popular Cloud Workspace Management Suite is unique in its ability to increase Workspace as a Service (WaaS) affordability by collapsing service infrastructure down to a single virtualized server, eliminating the need to pay for unused CPUs, RAM and cycles per virtual machine. This lowers the cost structure for organizations with business or departmental seat counts under 100 employees, a large percentage of the total addressable market. Experts cite the future of smart workspaces as having ubiquitous connectivity to business applications, holistic business continuity, and multi-device compatibility to empower distributed workforce environments. CloudJumper is taking that one step further by lowering the barrier to entry for managed service providers and the businesses they serve. The Cloud Workspace Management Suite Single Server solution allows MSPs to bring affordable cloud-based workspaces to office environments with fewer WaaS users while remaining efficient and profitable. 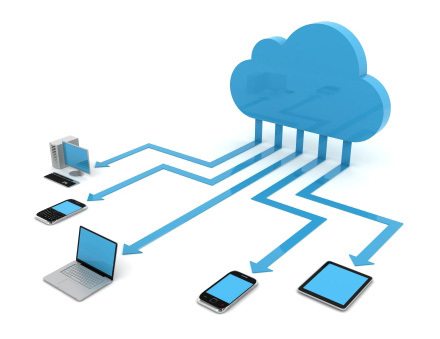 The Cloud Workspace® Management Suite Single Server solution supports easy migration, adaptability to any size business environment, integrated business continuity and disaster recovery, and ease of use to provide a highly secure full-featured workspace computing environment in the cloud. In the new release, the reduced computing footprint makes it cost effective to run a single tenant environment, while taking advantage of the benefits and economies of scale available at larger organizations. Whether single or multi-tenant, all customers are managed through a simple, single-pane-of-glass interface for continuous, global monitoring and control. For additional information on CloudJumper’s Cloud Workspace Management Suite Single Server please visit: https://cloudjumper.com/cloud-workspace-management-suite/.